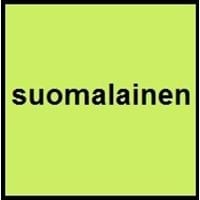 The dialects of Finnish language refer to difference in pronunciations or accents, words and expressions. Finnish dialects are the different forms of Finnish language spoken by particular group of people in different regions. Finnish dialect is a way of pronunciation used by a community of native speakers who belong to same geological region. In some of the languages, there are sub dialects too. Take a look at all Finnish Speaking Countries. It is important to know Finnish dialects because different Finnish Dialects are spoken by Finnish speakers. 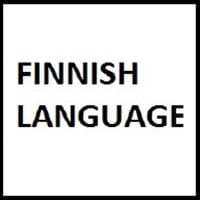 Like other languages in the world, Finnish language also has many varieties. These Finnish dialects are spoken over the entire Finnish speaking regions. Finnish Language has different dialects and is most commonly spoken language in Finnish speaking countries. The total number of Finnish Dialects is 21. Get information about Finnish Language History to know more about this language. Want to know where do they speak Finnish dialects? One of the Finnish dialect is Colloquial Finnish. Colloquial Finnish dialect is spoken in Finland. Another dialect of Finnish is Rauma.Rauma dialect is spoken in Finland, Rauma. Find more about speaking population of other languages on Most Spoken Languages. Wondering how many people speak Finnish Dialects? Finnish Dialects are spoken in different regions with varying speaker population i.e. from thousands in one dialect to millions in another.